You Can’t See It, But Believe It! I can’t tell you how much I feel like a Primal success story although my before and after photos wouldn’t reveal a thing. You see, I haven’t lost a pound, not one. And I didn’t really need to, but I desperately needed a change. I am a stay at home mom. Three years ago, my husband began his graduate degree. He had also recently started a new job with no base salary. (He worked for 100% commissions.) Our two children, at the time, were ages 5 and 3. And then my brother-in-law moved in with us. My stress level went through the roof! And my health took a nosedive. Sleep was not a priority; it was usually just an afterthought. My weight, which has been the same number for the past decade, wasn’t sitting in the same places. And while my husband swore he didn’t notice, I did. The worst part was the way the stress affected my overall health. I was getting chronic yeast infections. Chronic. Get one, clear it up, and repeat. The first couple times I tried treating it over the counter. Then I tried the doctor. Then I tried another doctor. It was affecting things in the bedroom too. My not feeling well made two of us unhappy. I was also getting these weird bumps inside my nose. I thought they were pimples or something because if I washed my face or blew my nose they would hurt so much. But the doctor told me they were staff infections. How does that happen!? Maybe if you’re a habitual nose-picker with dirty hands, but for the rest of the population (meaning anyone over the age of six) what could possibly cause that? I had to coat cotton swabs in Neosporin and stick them up my nose. That was fun. NOT. And overall, I just felt blah. I didn’t have any energy. I got sick or colds frequently. I felt rundown. My immunity was definitely compromised. But, I just figured it was the season of life we were in: small children, graduate school, career building, etc. I kept holding on, thinking eventually things had to get better. I still felt like the doctor was onto something though. I felt like there must be a way to take my health into my own hands if only I could figure out how to do it. I began to read more about nutrition, more specifically, to read about challenging conventional wisdom and the Standard American Diet. I was beginning to form my own ideas about what nutrition could mean for me. I’m a much better cook now! I don’t think we ever realized how bland and tasteless pasta, bread, and breading can be. We buy grass fed beef and joined a CSA. My kids are trying and eating things I wouldn’t have expected young children to like (such as kale and salmon). The kids devoured Shawarma Salad. I made a bone broth stew from lamb necks and my son licked the bowl! My daughter’s favorite breakfast is your Sausage & Egg Breakfast Bites. I make them for her every week. And I don’t feel at all guilty giving them to her like I used to over Pop-Tarts and sugared cereals. But here’s the success! I have been Primal for just over 6 months now and I haven’t had a yeast infection since we started! My nose? It’s just a nose, no weird bump things inside. I haven’t lost a pound, but guess what? My weight is all back in the right places. You wouldn’t see the difference with my clothes on, but I know it because of how my clothes fit! (My husband has lost 10 lbs. without even trying and would like to lose about 10 more. Totally doable.) My energy is up! I have learned how to listen to my body. I know what will give me energy and what will zap it! My husband loves eating a breakfast that fuels him until lunch or beyond. No more munchies in the office at 10 AM. I feel better and more in control of things now than ever before. I love reading Mark’s Daily Apple. My favorite post was the one about which 10 foods you would take on a trip to Mars. You inspired me to try salmon skin. I’d always peeled it off and thrown it away before. “Bacon of the sea.” I love it! You are so helpful, and thought-provoking, and encouraging. I love the way your readers respond to one another and encourage each other. And your wife is gorgeous, by the way! (As if you didn’t know.) My husband is pretty stoked that if we continue with this lifestyle I’ve got a good chance of looking like that in my 50’s! I’m not sure if my story is as inspirational as those who look like they have had a total body makeover, but I have transformed my body! It’s just in ways you can’t see. I feel like a success! I think that’s what counts. Grok on! Fantastic story. I think you can see the difference in the 2nd pic. Both of you are glowing. I think this is so great because there are plenty of unhealthy people walking around that are not necessarily overweight. Great job, I admire how you transformed your whole family, and are all better for it. Fortunately, they do like a lot of our “new” primal food. It’s a process, but I hope my kids are healthy for their whole lives. I would love that to be my gift to them! That’s awesome. “Do you mean out of a box?” Lol. Bet patient and show your love for them like I am sure you are. Your kids are lucky to have you 2 as parents! I love the weight loss success stories but its great to read one that does not deal with weight loss. Going Primal can heal you in so many ways! Wonderful! When my kids tell me they like “Donald’s” or “Burger King,” I tell them that, yes, that stuff tastes good but they don’t treat their cows right so their meat is bad. My son, who is celiac and GF but not primal, was in McDonalds while my sister was picking up food for her kids. He is 10 and says quite loudly “This place gags me”. My sister was so embarassed but I was so proud! My kiddies (ages 7 and 6) are now about 98/2 primal (with the 2 being school “treat” time like birthday snacks that other kids bring in). I have them turning in any candy that gets bestowed upon them for good behavior (which WOW–over the course of a year a piece of candy here and there REALLY adds up) for a special show, computer time, or wii time. I have them literally shoving the candy at me at the end of the day. My son wouldn’t even look at an egg before we started this–once I took the cereal and poptarts away–he really embraced the scramble egg. Bacon was the same–he begs for it now. Wow, great idea for getting candy out of kids’ diets–payment for experiences they want more than eating candy. Brilliant. There are some paleo based books coming out for kids this spring. Paleo pals is one and eat like a dinosaur is another which has kid friendly paleo recipes. These might be helpful to you. I am going to get them for my son, like you trying to get him converted to paleo as well. Your story is very inspirational. Thanks for sharing it with everyone. Beth, I love that you aren’t taking food out a box for your kids anymore! How cool that they are noticing, even if they are not sure about it. 🙂 Carissa – thanks for the heads-up on the kid’s books! I’m excited to find out more about them. Thanks! I have them both on pre-order! Fantastic! As much as I love the weight loss success stories, it’s nice to read one of someone benefiting in other ways. Keep it up! Not inspirational? Are you kidding, Beth? Your story is *absolutely* inspiring! 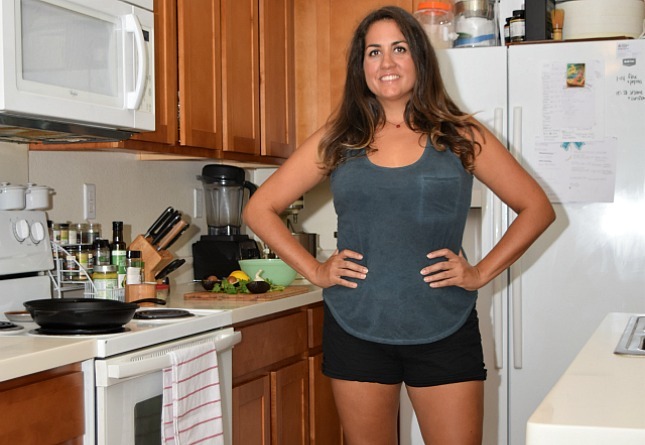 I’m getting a master’s in nutrition right now, and while my biggest passion is to help teach young women that they don’t need to starve themselves or live on the treadmill to lose weight, I’d like a chunk of my future practice to also include helping people who have no weight issues but whose chronic health conditions can be reversed with diet. It’s funny…I’ve heard many people say (and I agree) that overweight people are actually lucky, in a weird way — we (I say “we” because I was one of them) have visual proof that something’s wrong in our bodies. People who are a “normal” weight very rarely even consider the possibility that you name the condition: IBS, acne, headaches, fatigue, depression, acid reflux — could be caused (and therefore HELPED) by what they eat — or don’t eat! They think thin = healthy, no matter what might be going on inside. Kudos to you (and that first doctor) for recognizing that you don’t have to rely on a lifetime of meds that don’t even work. 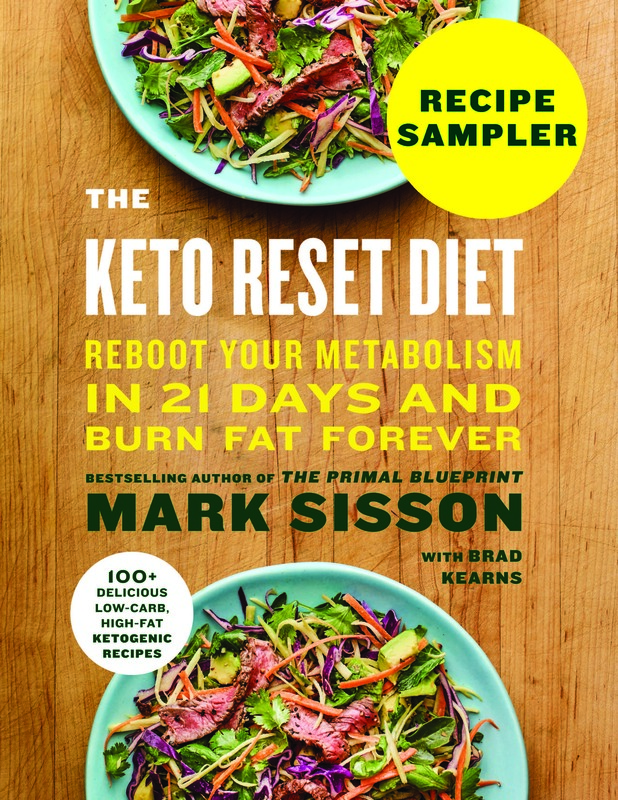 I think a lot of people who switch to paleo/primal mostly for weight loss end up amazed that all the little nagging health issues that had plagued them for years “suddenly” go away along with the excess body fat. I totally agree with you Amy. My ex-boyfriend was normal weight but had *so* many other health problems like migraines, acid reflux, fatigue, etc. He just could not grasp the fact that his SAD way of eating could be the cause of all the problems. When I would suggest a change in diet he would just be like “but I don’t need to loose weight”. So Frustrating! Great story Beth! You are an inspiration! I am often glad that I had a weight problem (quickly disappearing) because of the amazing health benefits that came with this way to lose weight. I had infections and skin problems that are just GONE. Not to mention mental acuity and good mood! Now I am working on my skinny and rather stubborn boyfriend. Basically, all he eats is grains. And what do you know–high BP and cholesterol. Beth, you and your husband are an adorable couple! You both radiate health in that second picture. Keep up the good work! Beth this was inspiring for me to read as I’m sort of in the same boat. I don’t really have weight to lose but I’m looking for those changes you can’t always see. I’ve only been primal for 13 days now and I already have stopped having these headaches i used to always get, my mood has improved, and it’s amazing how much more energy I have. I can’t wait to see how things are when I get to 6 months. Thanks again for sharing your story! I wish you a lot of luck! I also did not have any weight to lose when I first went Primal on April 5, 2010. After just a few days I felt like I was on top of the world! 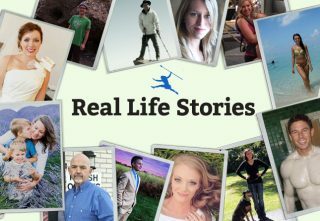 This story was a great reminder to me about why I went Primal. Like Beth, I don’t have much weight to lose. The changes I’ve seen have been primarily on the health and energy side. I, too, used to get those nose bumps, which tend to resurface when I eat badly or not sleeping. I went Primal a year ago, and the only time I’ve been sick since then was when I was binging on cookies, alcohol and other grain filled treats at the holidays. This story is a great reminder that weight is not the only reason to go Primal. Awesome, happy people! Fitness is life changing! Great to hear! I had to give up sugar entirely both times I was breastfeeding my kids as I gave them thrush. It was so stressful at the time as I was newly post-partum and trying to rid myself and my kids of thrush. Now I am trying to kick the sugar so that I can feel more alert and vital. It only takes a couple of days off of the sugar and I feel the difference. This is a very inspirational story! Thank you so much for sharing! So many seemingly normal-looking people have too much sugar in their bodies and it’s causing problems in many different ways! I really needed to read this today. I am staying home sick from work cause I feel crappy. And I know the crappy feeling is from eating all the wrong things. I made bacon and eggs after reading your inspirational posting and used almond milk in second cup of tea instead of milk. Thanks again for sharing. Beth — great story, and yes, verrry success-ful/filled! I think it’s wonderful when people connect to the real core of primal living–that wellspring of healthy and positive energy. Love the sparkle in your eyes in your “after” picture. I’m pretty sure you’ll keep it long after and into always! Wow, congradulations to both of you! You did an excellent job researching nutrition and we need more folks like you to seek wisdom against CW! Truly inspirational for I was in the same boat as you, well minus the yeast infections lol. So greatful to the new generation of people and the internet. Continue the great work. Ha! Thank you for having the guts to talk about yeast infections – eliminating them is a MAJOR plus of going Primal. I’ve just been too embarrassed to even admit the problem so I love seeing this different kind of success story. My chronic infections go all the way back to when I was a kid! I was introduced to Monistat at age 7. I now know that’s because I was overloaded with antibiotics when I I was young, first as a two-week-old baby, then as a two-year-old with a bladder infection, then at age 6 with an ear infection. I didn’t have enough money or time to keep the infections at bay, so it really just become the norm. When I eat sugar-free, it totally clears up. And when I go off my diet, there are immediate consequences – like same-day consequences. Yeah, this is an issue that makes going Primal worth it all on its own. Yep, I was just away at a work conference, where the food available was not Primal in the slightest, and the stress and temptation got to me. I ate terribly. Combine that with the stress of my wedding and spending holidays abroad (and the totally non-Primal eating that entailed) and guess what? Got my first yeast infection in 6 months. And I used to be one of those people that got one every two weeks – Yuck. Must get rid of sugar and starch!! Awesome story, Beth–totally inspirational! The two of you look so radiant now! Thanks for sharing your success. I can attest to the benefits of completely eliminating sugar–I set up a 30-day challenge for myself this January to eliminate all sugar from my diet (less daunting than a New Year’s resolution), and I feel amazing. Funny how what we’ve come to think of as a “normal” part of our diets is actually so harmful. Great story! Over-all health and well-being is more important that weight loss alone, so your story is very inspirational! Grok on! Totally inspiring. Seeing bodies change is always cool, but knowing that serious underlying health issues, which affect your relationships and daily life, are being resolved– is awesome! Really happy for you! Awesome! You and your husband (and your kids) are creating a legacy that will benefit many generations to come. One thing I love the most about Friday success stories here on MDA is that provide me with “mental armor” for the weekend. Meaning, Friday and Saturday nights are usually party/go out nights and it is really easy to consume bad things and not get enough quality sleep. The weekly Friday MDS story gives me stronger constitution to do what is right for my body. (Especially during football season). Dr. Ron Paul cured my political apathy, MDA has cured by health woes. heh, typing is way off today. I hate typos! Beth, your story is so inspiring! I’m also a SAHM and started living (mostly) primal about a month ago. I don’t want or need to lose weight either, but like you, I’m tired of this “season of life” feeling so incredibly draining! I’ve already noticed some major improvements within this past month. My energy levels are more stable, and I seem to get fewer migraines, which is huge. I would love to hear more about the conversations you had with your kids about food, health, etc. Mine are 2 and 4 1/2, and our family dinners often involve me eating all the fat and veggies, and them eating all the carbs! (I give them a choice, but they just don’t like a lot of the primal parts of our meals.) So any tips you might have on how to talk to small children about the changes we are making would be very helpful! I do keep dark chocolate around the house and they are allowed to have ONE piece each day after lunch or dinner, their choice. And while I do not deviate, I allow them to take the weekend off. This means that they can have some junk on the weekends. I let them eat Crispix or wheat free kids cliff bars. I know, Gasp! They think they’re getting away with murder and I just grin and bear it. They are also able to choose a bit of candy that they have received from holidays, school, Sunday school, etc. I don’t throw (all of) it away, but it’s under “lock & key” until Saturday. When they ask why we don’t eat grains or sugar everyday anymore, I explain how important it is to put good food in our bodies. I tell them that our bodies are made up of what we eat, and that if we put junk into our bodies, then our bodies will be made out of junk! We won’t have energy to play outside and we won’t feel well. You are lucky that your kids are so little. You can establish the system now. “This is just how things are.” My rule is: If I cooked it, you have to try it. One bite. You don’t have to like it or finish it, but you do have to try. This is how my kids have discovered that they like a lot of things that sounded weird at first. They have also said “No, thank you” after the first bite plenty of times too and I allow it. I say, “I’m glad you tried it.” While I don’t follow CW in terms of nutrition, I do believe that sometimes kids have to see and experience things up to 20 times before they will accept them. I hope some of these ideas help. Please be encouraged. This is a process. A method I like to offer is provide a choice with outcomes that you are okay with. That way the kid makes a choice and you are happy. Thank you for the tips! Some of this goes along with how I’ve dealt with food in general at home (especially the part where they have to try, but they don’t have to like it). I guess the key is to lose the non-primal options. To do this, though, I’ll have to get my husband on board, otherwise he’ll be “allowed” to eat bread while the kids aren’t. Fortunately, my kids are nuts about eggs, so I know that if all other options fail, I can always entice them with a soft boiled egg! Beth – great story!! I am totally going to use the phrase ‘Wheel Poop’ more often now. Similar to you, our kids took a little work to get converted over. Now they are full bore. I think your story is great because all too often we associate weight and health as if they are one and the same. I was in a discussion with a coworker once and they just found out they are [pre-diabetic, high blood pressure,… can’t remember now] and their response was ‘but I don’t need to lose any weight?!? !’ They were completely surprised that they might be unhealthy yet skinny. So true! I know I used to think skinny = healthy. Isn’t it “interesting” how medical doctors sometimes define “health”? You were fortunate to find an MD who wanted optimal wellness for his patients – not just the ability to manage “health” with a minimum of medical interventions. 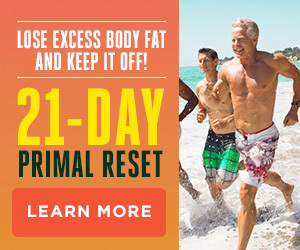 As a 59 year old woman, who very recently went Primal due primarily to creeping weight gain and creeping lipid elevations, I can attest to how low the standards of CW “health” can become as we age. Just because I have managed to avoid blatant obesity, diabetes, heart attack, stroke, etc. to this point, my MD considers me “basically healthy”. HA! Live in my aging body for one day and see what you think of such “basic health”! 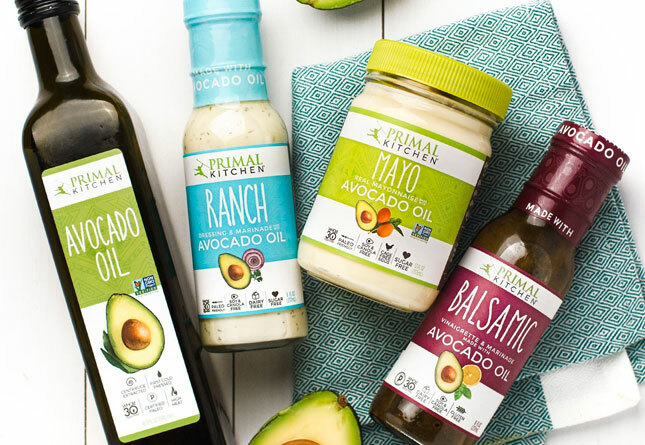 Looking forward to seeing what going Primal does for optimizing my wellness, too. May have my own success story to share one day. Great story Beth. Even if it isn’t “obvious” like the huge physical changes, it’s still inspiring to hear about the subtle (or not so subtle) other changes that the Primal lifestyle can evoke. I understand about the kids too. We have two daughters who are not fans of the “Caveman Diet.” We don’t force them to eat our food and haven’t stopped buying them junk like good parents would. We give them the option and try to set as good an example as we can. Best of luck on your continued success. Oh my gosh! I was so happy to read your story b/c I can totally relate! Over the last two years I have been extremely prone to both yeast infections AND staph infections in my nose (painful bumps & sores) – I thought I was the only one! I have stuck many a cotton swap (with neosporin) up my nose per doctor’s orders. Mine are mostly better after going primal, but if I have any issues I now use coconut oil, which works just as well w/o the wierd stuff. I agree both issues are a huge pain. And like you, I look perfectly healthy and no one would think I needed a “diet.” My weight has fluctuated up & down maybe 5 pounds since high school to now (I’m 33). Even losing the weight after my 2 year old was not hard… It just goes to show that there are many other issues to be helped by properly taking care of yourself… weight is not the only one! What a great story! I also found my way to the Primal lifestyle by way of chronic yeast infections, although mine were topical. I found out about the Candida diet to as a way to stop feeding the infection (it’s fairly similar to Primal)and then read about Primal and decided it was a better fit for me. Haven’t had a single yeast infection since I changed my diet in September! It’s amazing – even after reading the post earlier today, writing a comment, reading replies, etc., it only just dawned on me that the Candida diet I was on several years ago (gotta love chronic yeast) was almost exactly like the PB! Funny how my brain just didn’t make that connection until now. 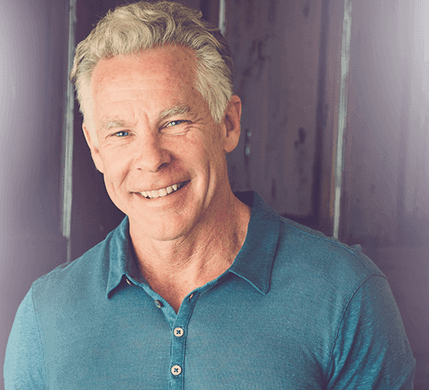 Back then I saw the Candida diet as something I had to stick with for a certain period of time to get healthy, after which I would go back to “normal.” In a way, I saw it almost as punishment. But now that I’ve made the decision to go primal, it’s more about the lifestyle, a permanent paradigm shift rather than a temporary deprivation. Thanks for sharing! It’s so awesome to hear how eating right csn make such a positive difference. Food is medicine. And I’m really more inspired with stories like this, about ‘normal sized’ people – I’ve never been overweight, so the others aren’t as relatable. Way to go, Beth! Chronic health issues can be stubborn and frustrating just like chronic over weight issues. I’m so happy that you found healthy living through the PB Beth, it sounds like the quality of your life has improved dramatically. My biggest change since going Primal 7 months ago is not weight loss, but my energy level is phenomenal. I used to need a nap every day around 2, and go to bed early. I had no energy for playing outside with the kids. Now I feel like the Energizer bunny, and I play with the kids all the time, we just got back for 2 hours of sledding, and I pulled the little one up the hill over and over! As usual with these stories, the best part is the contrast between the “Before” and “After” pics…absolutely astounding! You guys look like you feelgreat, nice job! Congrats to you Beth! I also have never had a weight problem but had tons of health problems for my whole life that literally disappeared once I gave up grains, sugar, and dairy. Focusing on sleep was a huge issue for me (I still have to work on it from time to time) but wow, what a difference. Thank you for sharing your story, I’m sure there are more people out there like you and me who look okay but are not okay who will be inspired by your success! It was great to read your story. It was actually a nice change from all the weight loss successes. Though they are wonderful it is good to hear about how primal affects other health issues. Thanks! I love this. Thanks so much for sharing your story!! Congratulations!! In fact, I was waiting for this kind of success story. I doesn’t have to always rely around fat loss! Wow, as you can see from the comments, your story is really inspiring to those of us without weight to lose but have other health issues. Thanks for sharing! I have a question about fruit for you – did you have to cut it out to get rid of the yeast infections and can you eat it (in moderation) now? I’m currently trying to rid myself of chronic yeast infections and have completely cut out fruit, but I really hope I’ll be able to add it back in at some point as it’s about my favorite thing to eat (for dessert!). I did not cut out fruit. Since I wasn’t trying to lean out, I wasn’t as worried about bringing my total daily carbs to the lowest point possible. I really love apples; I have one probably 3-5/wk. I stay away from the other high fructose fruits though: bananas, melons, grapes, pineapple. I eat those only in moderation and try to stick to berries when I want more fruit. I love veggies too, so getting my fiber hasn’t been a problem. I did COMPLETELY cut the wheat products. And I do NOT “cheat” on those. If I do “cheat,” I may have some blue corn chips or a tiny bit of white rice. In the beginning, though, I avoided those too. I wish you complete success! Thanks for the reply. I’m glad to hear you didn’t have to cut out fruit! My naturopathic doctor recommended I stay away from fruit for now since the candida feeds on sugar. I learned my lesson pretty early on with wheat – cutting it out for 2 weeks and then eating a small amount made me never want to eat it again. I also cheated with corn products and white rice but now I’m fully committed to eliminating grains entirely (at least while I’m healing, I don’t expect to be perfect forever). It’s really not that difficult except that my husband likes to go out to eat a lot. I was using the rice to soak up sauces at Thai restaurants, not even because I really wanted rice. I told my husband that we should get take out and then I can replace the rice with cauliflower rice at home. He agreed since he’s more interested in eating yummy ethnic food than in the experience of eating out (although we do enjoy going out to breakfast together). Im particularly happy to hear its helped your yeast problems. I went on a anti yeast diet which introduced me to the idea of meals without grains. Feel fantastic for it, and now making my way (along with hubby -yay!) into primal. I am happy to hear that this will also help get rid of any remaining yeast problem without being on SUCH a restrictive diet 🙂 its hard work. 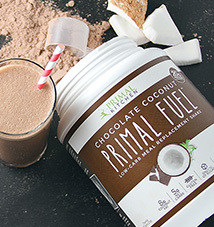 Primal however is YUM!!! 🙂 thanks for sharing. The thing I love about the primal diet is that it is about so much more than just losing weight. It is really about becoming healthy in every way. I think your story shows how listening to your body really pays off. I have noticed that I hang onto stomach fat when I am under stress. Recently the stomach fat has returned. I thought I was fine stress wise but then looked into my sleep habits. I have been having an awful time with sleep lately. This is what I love about this lifestyle. Instead of thinking, “Oh, I am fat.” I am looking at the reasons that I am holding on to this fat. Great job!!!! You both look so happy. Thanks for sharing! I have the same experience – from I was 13 until I 27 yeast infection was on and off, sometimes really bad! I could wake up crying in the middle of the night. Shifting my diet to a more paleo/primal one has changed everything and yeast infections are history! I did and do have weight to lose, but the surprise benefits of saying goodbye to chronic yeast infections and the apparent healing of gall bladder issues are what make this life style so much more than a “diet”. I emphasize these other benefits to people who ask about my weight loss. Truly, I am hoping to be the pebble that casts a great ripple to help others in my circle. I am so delighted to be part of this encouraging community. Thanks Beth, for putting it out there, congratulations and Grok On! Thanks for sharing your story. I also had/have chronic yeast infections. When I began Primal last February they went away! But moving back to the US last May meant I also slacked some on my Primal goodness. I have begun getting yeast infections again over the past few months. Your story reminded my of the direct correlation I noticed last year. I have gotten back on track over the past few weeks with some new, specific and very attainable goals for the coming months and year. Thank you for sharing your journey! I’ve been struggling for years with unexplainable fevers, symptoms that mimic Lupus and RA, as well as a thyroid disorder and have seen several docs over the years to no avail. I can’t even remember what it feels like to feel good anymore. I’ve been slowly making the transition to being 100% primal over the last couple of weeks and seeing your story just gives me that much more motivation to keep it up and not give in to temptation. Wheat poop! I love the phrase, that’s exactly what it is. You guys look great! Thanks for sharing. To our blood stream and pancreas wheat/grains are SUGAR. Sugar feeds infections and undesirable body um, lumps. I evaluate all doctors & “health experts” on what they say or don’t say about wheat. I love your story! Success Stories are my favorite email of the day! Super..Your story is VERY Inspiring! A good reminder that it’s not just about weight loss and how you look, but about your overall health. Beth, that IS inspirational! How cool!! For me, the key is: It has to be CRISPY! Crispy Salmon Skin = Yummy! Beth – As a Grandma trying to do the best for our granddaughter (who is 4-1/2 years old)- I soooooo appreciate the tips on how to handle PB with little ones. Fortunately, my daughter is on board with the Primal alternatives I’ve chosen for GD when she’s with us when we’re babysitting. Unfortunately, 99% of the time GD is either with the regular babysitter (who doesn’t have a friggen’ clue about PB) or at pre-school (ditto) so healthy alternatives get mixed in to the regular equation. Parents who take their kids to a pre-school or babysitter who watches several kids is aware of what I’m saying — it’s the general consensus that prevails. In our area, sitters are very, very hard to find let alone one that is Primal! What an inspiring story. It’s great to see how people can change their lives by simply leading a better lifestyle! I LOVE your story!!! Not that you’ve had to endure years of one of THE WORST maladies EVER to plague women–but that you took control of your health. I LOVE it!! Thank you so much for sharing. Beth, I know everyone is big on sun here, but your complexion is gorgeous…don’t risk the sunspots that will come in your 40s! I’m glad you’re feeling so much better; you definitely look healthy. Thank you, and funny you should say that about the sun. I think the great thing about primal is that everyone is able to tweak the lifestyle (not diet) to meet their personal needs. While I’m glad I’ve never had much trouble with blemishes, I have already had to treat pre-cancerous spots on my face twice. When I take in the sun, it’s for moments, not hours. I cover up and have learned to wear a hat. GOOD, GOOD JOB people!!! I know it’s not easy sometimes to try to stick to PB with the young ones, but I’m so proud of you and so happy that you’ve been able to carry it out thus far, and I know you’ll continue to do so! Congratulations and all the very best to you and your very lucky family. Absolutely just loved your story – thank you so much for sharing, and thanks to Mark for posting it, as well. I’m so glad you posted this. My husband and I have been primal for 4-5 months now. We have noticed great non-scale improvements, but our weight hasn’t budged. (neither of us need to lose weight though) We then had a friend who went primal and lost 30 pounds in six weeks! I kept thinking “What are we doing wrong?” but it’s nice to be reminded that success doesn’t neccessarily mean weight loss. We’re both happier and healthier, which is enough for us. Awesome. I love your story because I have a friend who is considering going primal but is naturally a twig and doesn’t see how going primal will help him. I try to tell him it’s about total health, not weight loss, but it doesn’t seem to sink in. Thanks for sharing, and grok on! i love hearing about the weight loss stories but this is just as inspirational. this just shows that living paleo or primal is so much more than just about weight loss – it makes us FEEL better!! i too don’t have weight to to lose but, let me tell you, i sure do feel it when i’ve strayed. great job on your success and kudos to you for giving your kids a good start on life! Success can certainly be measured in non weight related ways and your success shows just what eating Primal can do for all of us. Like you I didn’t have weight to lose but regaining joy and having so much more energy in my daily life has made a world of difference. congratulations. Nice to see a young family moving into a healthy life style. Thanks for sharing this. I think we get hung up on people’s dramatic changes in appearance, while forgetting that it’s just a reflection of overall health. Glad it’s working out so well for you! Love the story. Love it. Beth, congratulations! You look so radiant and happy. Your story is an important reminder of how our health can suffer when our life is not in balance. Stress is such an overlooked factor in causing physical aliments. My health broke down under stress too and at the time I was the skinniest but unhealthiest that I have ever been. It’s really not all about losing weight. Keep up the amazing work! Great to hear a health transformation success story NOT about weight loss from a woman!! Beth, your story is amazing. I had a similar situation- no need to lose weight, but I had skin rashes, heartburn, extreme mood swings, among others. I changed my diet and lifestyle and my world did a 180 degree flip. Spread the good word! Fantastic story! Health is our greatest wealth and you demonstrate that with your after picture. You are simply glowing! Grok on Sistah! who was it that said “its better to look good than feel good?” in reality, feeling good is the thing that matters. What an inspirational story! I to have been fighting Yeast infections and sinus problems for a very long time. After only two weeks of eating Primal I have noticed a huge difference in my body. As a single mum with two teens it can sometimes be hard to fit everything in that has to be done and try and eat healthy( the box seemed so easy) but after reading Primal Blueprint it just makes sense, and it is easier than I thought. My kids are enjoying the new variety in taste, I have started a herb garden and I am trying to instill the knowledge I have learned from PB and MDA to my teens. It may take awhile but I am sure they will embrace it when they start feeling as good as I am. I love that your post is focused on so much more than weight-loss. 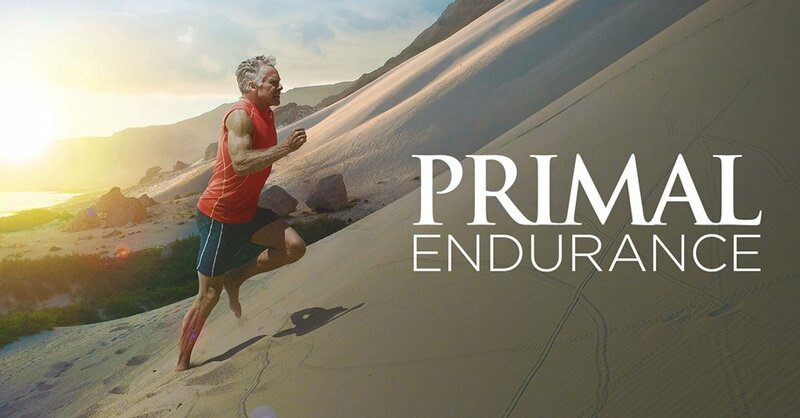 The Primal journey is life-changing in many ways, and your story really speaks to the overall health that we can gain. Thank you for writing! Love this story! So glad going primal worked for you. It definitely goes beyond weight loss. Thank you for sharing. We have been Primal since January 1st. I think i have lost about 3.5 kg (7.5lb) and can notice the difference now. My dear hubby who does not need to lose an ounce of weight, has Crohns disease and sinus. Whilst we wait to see how Paleo effects these conditions, he was pleased to tell me that the itchy/flaky scalp of the past 25 years seems to have eased. He was so excited. Amazing what can happen on the inside. Go all you good things!!! I love this story just as much as I love seeing body change stories! It’s so much more than just how we look, the health benefits are just totally amazing! I really believe you can fix just about anything with diet. It’s just about waking up to thinking differently. Dontcha just wish that everyone you spoke to ‘got it’?! Great story! You look so happy and healthy! Fantastic story thank you so much for sharing. Good luck to you both and your family for the future. Congrats you look great! My 21 year old son brought the primal blue print to me! Feeling way better since I started 2 months ago! His starting this week. Now if I could only get my hubby, my 19 yr and 17yr old son’s to buy into the program!!!!! !